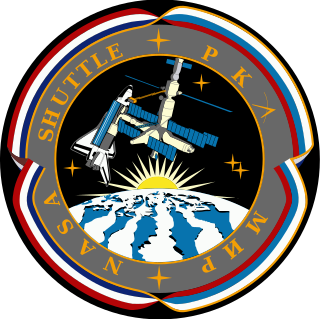 STS-6 was the sixth NASA Space Shuttle mission and the maiden flight of the Space Shuttle Challenger. Launched from Kennedy Space Center on 4 April 1983, the mission deployed the first Tracking and Data Relay Satellite, TDRS-1, into orbit, before landing at Edwards Air Force Base on 9 April. 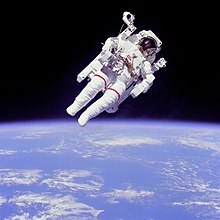 STS-6 was the first Space Shuttle mission during which a spacewalk was conducted, and hence was the first in which the Extravehicular Mobility Unit (EMU) was used. The Manned Maneuvering Unit (MMU) is an astronaut propulsion unit that was used by NASA on three Space Shuttle missions in 1984. 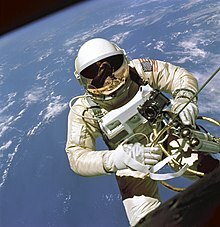 The MMU allowed the astronauts to perform untethered EVA spacewalks at a distance from the shuttle. The MMU was used in practice to retrieve a pair of faulty communications satellites, Westar VI and Palapa B2. Following the third mission the unit was retired from use. A smaller successor, the Simplified Aid For EVA Rescue (SAFER), was first flown in 1994, and is intended for emergency use only. 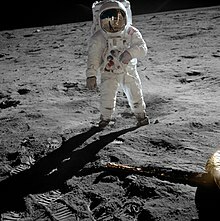 The Extravehicular Mobility Unit (EMU) is an independent anthropomorphic spacesuit that provides environmental protection, mobility, life support, and communications for astronauts performing extravehicular activity (EVA) in Earth orbit. 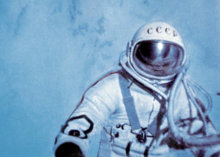 Introduced in 1981, it is a two-piece semi-rigid suit, and is currently one of two EVA spacesuits used by crew members on the International Space Station (ISS), the other being the Russian Orlan space suit. It was used by NASA's Space Shuttle astronauts prior to the end of the Shuttle program in 2011. Expedition 2 was the second long-duration spaceflight aboard the International Space Station, immediately following Expedition 1. Its three-person crew stayed aboard the station from March to August 2001. In addition to station maintenance, the crew assisted in several station assembly missions, welcomed the first space tourist Dennis Tito, and conducted some scientific experiments. International Space Station spacewalks are major events in the building and maintaining of the orbital laboratory. Spacewalks are performed to install new components to the International Space Station (ISS), to re-wire systems, modules, and equipment, and to monitor, install, and retrieve scientific experiments. The Quest Joint Airlock, previously known as the Joint Airlock Module, is the primary airlock for the International Space Station. Quest was designed to host spacewalks with both Extravehicular Mobility Unit (EMU) spacesuits and Orlan space suits. The airlock was launched on STS-104 on July 14, 2001. 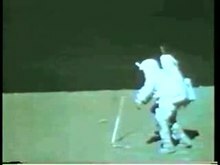 Before Quest was attached, Russian spacewalks using Orlan suits could only be done from the Zvezda service module, and American spacewalks using EMUs were only possible when a Space Shuttle was docked. The arrival of Pirs docking compartment on September 16, 2001 provided another airlock from which Orlan spacewalks can be conducted. The Orlan space suit is a series of semi-rigid one-piece space suit models designed and built by NPP Zvezda. They have been used for spacewalks (EVAs) in the Russian space program, the successor to the Soviet space program, and by space programs of other countries, including NASA. 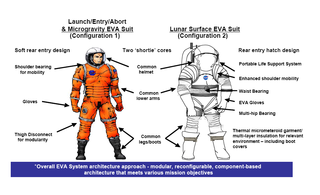 The Constellation Space Suit was a planned full pressure suit system that would have served as an intra-vehicular activity (IVA) and extra-vehicular activity (EVA) garment for the proposed Project Constellation flights, which were planned to begin after the Space Shuttle retired. The design of the suit was announced by NASA on June 11, 2008, and it was to be manufactured by Houston, Texas-based Oceaneering International, the first company other than the David Clark Company, Hamilton Sundstrand, and ILC Dover to produce life-support hardware, as a prime contractor, for in-flight space use. 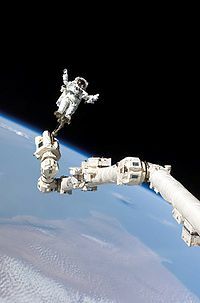 An astronaut propulsion unit is used to move an astronaut relative to the spaceship during a spacewalk. 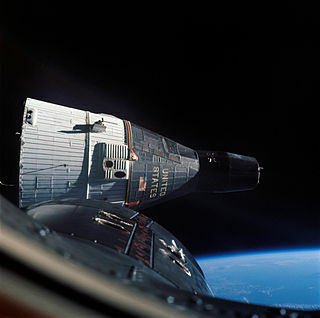 The first astronaut propulsion unit was the Hand-Held Maneuvering Unit (HHMU) used on Gemini 4.